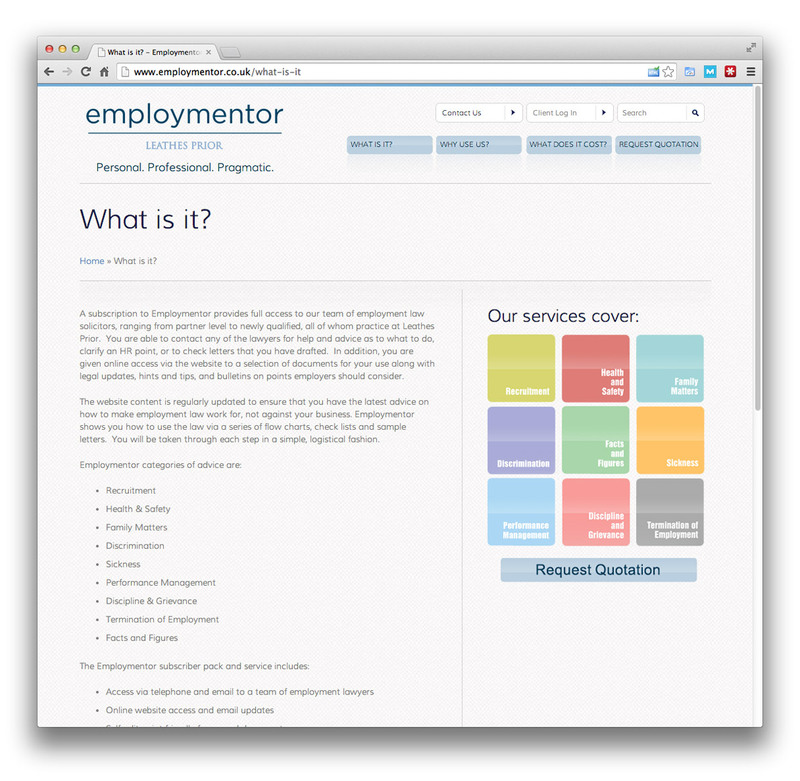 Employmentor | Website Portfolio | Dessol Web Design, Lowestoft. 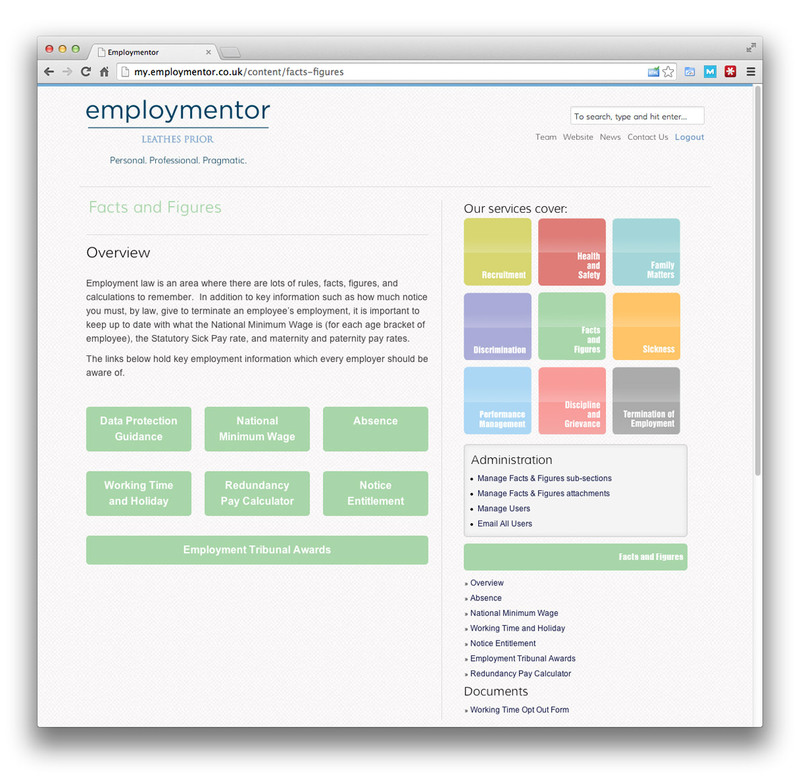 "A fast and efficient service delivered by expert employment lawyers." 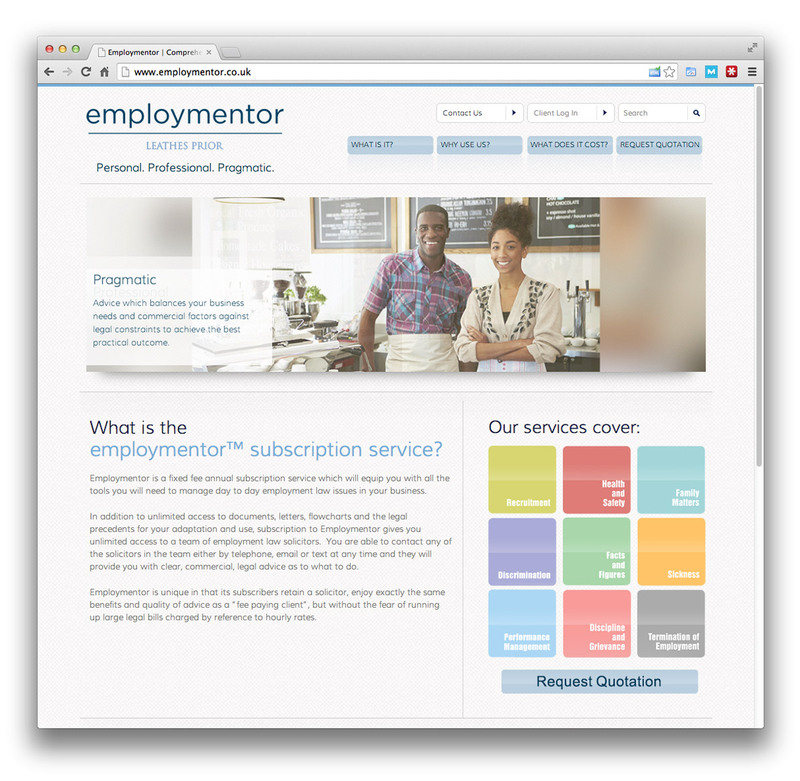 Employmentor is a fixed fee annual subscription service which will equip you with all the tools you will need to manage day to day employment law issues in your business. 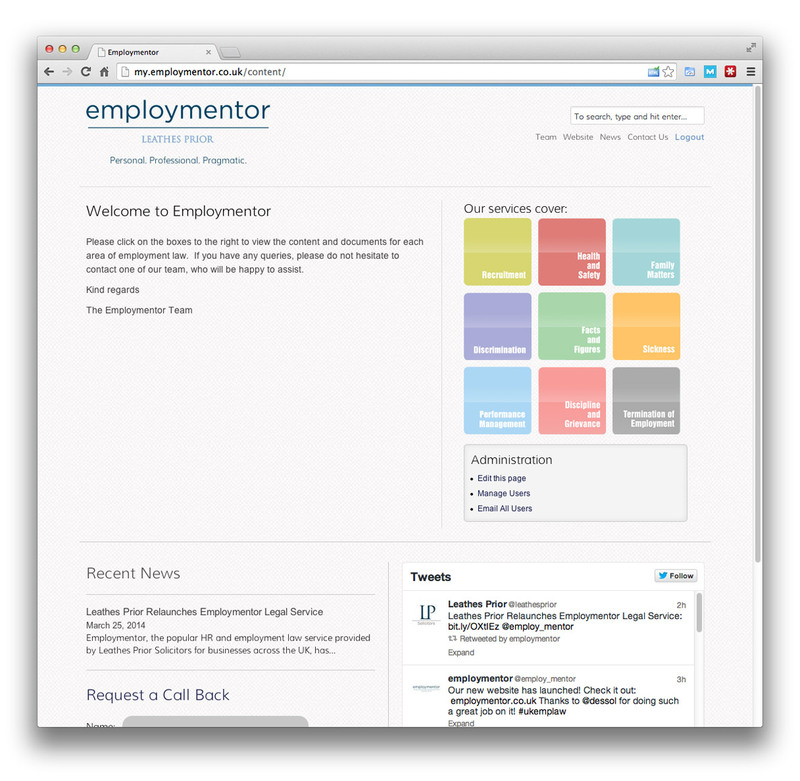 Employmentor wanted a fresh new look to their legal advice service. 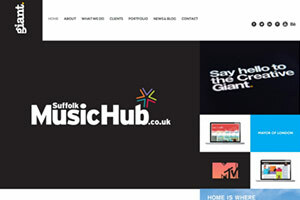 Based on WordPress for the front end and a custom CMS for the backend, it allows the client to edit and make changes to the content themselves. 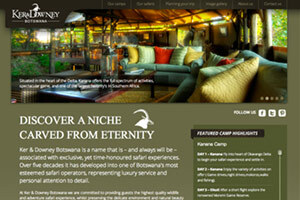 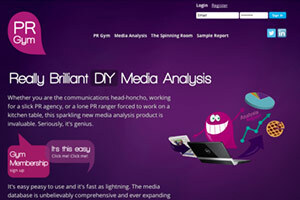 It is also responsive, meaning it will work perfectly on mobiles and tablets.